1 Day CRASH Course for PTE-Academic aspirants, taken by PTE Master Trainer Expert PTE Master Trainner. 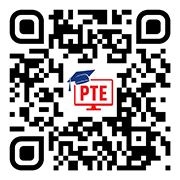 Expert PTE Master Trainner is a Pearson Certified PTE-Academic trainer, and also an IDP Certified IELTS trainer, who has many years of teaching experience under his belt, and has trained thousands of people worldwide for IELTS as well as PTE-Academic. Expert PTE Master Trainner himself has taken the PTE-Academic test, and has got a perfect overall score of 90/90 [Equivalent to Band 9 Score in IELTS], and also perfect scores of 90 each [Equivalent to Band 9 Score in IELTS], in all the four modules of Speaking, Writing, Reading and Listening. This detailed lecture will help you understand each of 20 PTE tasks along with the guidance of scoring pattern, time management techniques, and smartest way to practise.